If you’re the type of gal who considers the treadmill a runway as much a workout, then we have the perfect pair of leggings for you! Shop With Us: We Love That These Faux Suede Leggings Look Just Like Trousers and They’re on Sale! Shop it here: Shop the Koral High Rise Lustrous Leggings on sale for $64 (originally $80) at Bloomingdale’s! The Koral High Rise Lustrous Leggings are a fashion-forward spin on your classic basic black leggings. The coated pull-on bottoms have a liquid-look, and feature an elastic waistband and high rise. Don’t just take our word for it! The bestselling leggings have garnered quite a fan club. One reviewer noted that she receives “tons of compliments at the gym or when [she] wears them out with a top.” Another revealed that she wears hers with a tunic or short dress. Multiple shoppers also shared that they own more than one color! Not a fan of the discounted copper shade? Then try the gunmetal, navy or chic black colors. 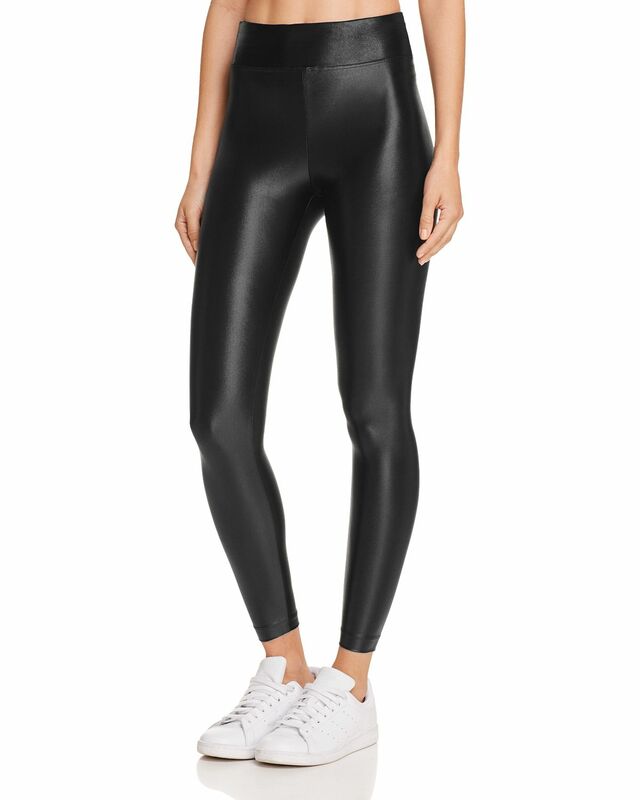 See it: Shop the Koral High Rise Lustrous Leggings on sale for $64 (originally $80) at Bloomingdale’s!